The following is a list of films and videos related to vegetarianism. Dominion By the producers of Lucent, this powerful film clearly documents what the public never sees in the Australian meat industry. Narrated by Joaquin Phoenix, Rooney Mara and Chris Delforce. Earthlings Powerful and informative documentary about society’s treatment of animals, narrated by Joaquin Phoenix (2005, 95min). Diet for a New America Based on best-selling book on vegetarianism, environmental impact of factory farming and animal rights (1991, 58min). Devour the Earth Documentary film about the global consequences of meat consumption, narrated by Paul McCartney (1995, 22min). Food For Life Reasons for the growth of vegetarianism, treatment of farmed animals and why eating them destroy our planet (1997, 24min). Food Without Fear Classic video produced by the Vegetarian Society of the UK (1989, 20min). A Diet for All Reasons Dr. Michael Klaper, M.D. explores and explains the relationship between diet and health (1992, 60min). Cowspiracy Investigates the impact of animal agriculture on the environment and the policies of environmental groups (2014, 85min). Food Choices Explores how food choices impact our health, the health of our planet, and the lives of animals. Mad Cowboy Former cattle rancher tells why he gave up his traditional cattle farm and turned vegetarian (2005, 79min). Speciesism the Movie Explores the concept and practice of 'speciesism' - how humans discriminate against other species (2013, 94min). Latest in Clinical Nutrition Ongoing series of videos on nutrition research sourced from peer-reviewed medical literature. The End of the Line The first major documentary film revealing the impact of overfishing on our oceans (2009, 85min). Fat, Sick and Nearly Dead A man endeavours to drink only fruit and vegetable juice for 60 days to lose weight and reclaim his health (2010, 97min). Forks Over Knives Researchers explore how changing diet from animal- to plant-based can help eliminate or control degenerative diseases (2011, 90min). Food, Inc. Examines how factory farming produces food that is unhealthy, environmentally harmful and abuses both animals and employees (2008, 93min). Simply Raw Six people with diabetes switch to a diet of vegan, organic and uncooked food to reverse the disease without medication (2009, 91min). 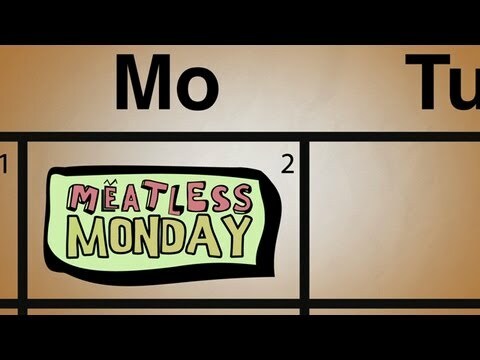 Vegucated Explores the challenges faced by three meat- and cheese-loving New Yorkers who agree to adopt a vegan diet for six weeks (2010, 76min). Food Matters Examines how the food we eat can help or hurt our health (2008, 80min). Hungry For Change Exposes the diet industry's deceptive strategies designed to keep people from losing and keeping off weight (2012, 89min). Super Size Me Experiment in which the producer eats nothing but food from the McDonald's menu for an entire month (2004, 100min). McLibel David vs. Goliath account of two ordinary people who took on McDonald's in the biggest corporate PR disaster in history (2005, 82min). 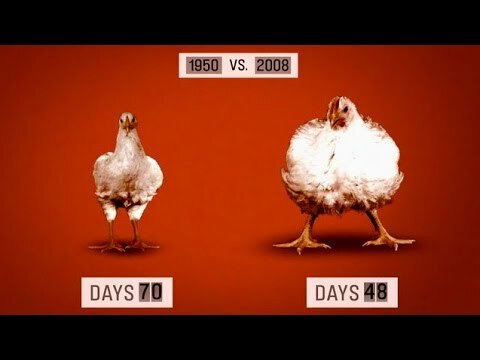 Frankensteer Reveals how the farm cow is being transformed into an antibiotic-dependent, hormone-laced means to create cheaper food (2005, 44min). Processed People Investigates the effects of fast food on people's health (2009, 40min). 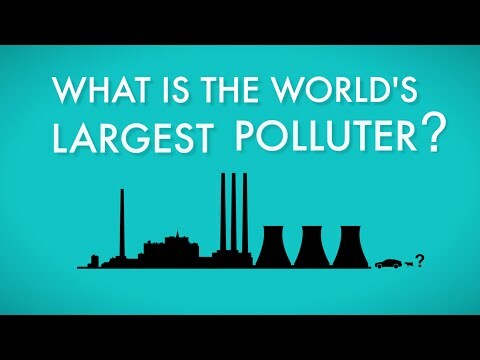 A River of Waste Exposes huge health and environmental scandal in the modern industrial system of meat and poultry production (2009, 92min). Lucent Powerful documentary on the vast, yet largely unseen, suffering inherent in Australia's pig farming industry (2014, 107min). Salmon Confidential A biologist discovers authorities suppressing how wild salmon are being contaminated by viruses from factory farmed fish (2013, 71min). Meat the Truth Shows how the average meat-eater's diet requires fifteen times more water than a plant-based one (2008, 70min). Sea the Truth Explains how and why the oceans are being emptied of marine life (2010, 60min). The Meatrix Award-winning short flash animation critical of factory farming and industrial agricultural practices (2003, 4min). The Emotional World of Farm Animals Delightful documentary about the thinking and feeling side of animals that are all too often just viewed as food (2004, 56min). Pig Business An investigation into the corporate takeover of pig farms and the impact this has on the environment, local communities, and small farmers (2009, 57min). Best Speech Ever! Speech by Gary Yourofsky on the importance of shifting to a plant-based diet has gained millions of views (2010, 100min). The Witness Moving story about a construction contractor from a tough Brooklyn neighborhood becoming an impassioned animal advocate (2000, 43min). Peaceable Kingdom Explores how people from a traditional farming culture come to question the basic assumptions of their way of life (2004, 70min). The Ghosts in Our Machine Activist uses her camera to document the plight of exploited animals and advocates for their rights as sentient beings (2013, 93min). A Sacred Duty Focuses on Jewish teachings about caring for the earth, animals and the environment, with a focus on the role of vegetarianism (2007, 60min). A Delicate Balance Candid interviews with mainstream people on the effects of meat production on our health, the planet and the animals themselves (2008, 85min). A Cow at My Table Explores Western attitudes towards farm animals and meat, and the intense battle between animal advocates and the meat industry (1998, 90min). Carnism: The Psychology of Eating Meat Examines the reason why meat-eating cultures around the world typically don’t think about what they are eat animals (2013, 60min). Death on a Factory Farm An investigation into alleged wrongdoings at a pig farm questions the treatment of animals bred for consumption (2009, 83min). At the Edge of the World Volunteer activists set sail for the south Antarctic Ocean to protect whales from Japanese hunters (2008, 90min). Life Behind Bars Contrasts the conditions of chickens, pigs and calves raised free range and in intensive confinement production farms (2002, 14min). The Animals Film Classic documenary presents a confronting overview of the many ways in which humans use animals for their own ends (1981, 136min). Humanimal Challenges the general perception of animal intelligence (2007, 43min). the summit of intelligence and sensitivity, denying "beasts" all possibility of intelligence and emotions. Yet, as researchers and scientists make one discovery after another, they gradually prove that the border between the two worlds is not quite as impenetrable as once thought. ans once considered themselves to be at the summit of intelligence and sensitivity, denying "beasts" all possibility of intelligence and emotions. Yet, as researchers and scientists make one discovery after another, they gradually prove that the border between the two worlds is not quite as impenetrable as once thought. Humans once considered themselves to be at the summit of intelligence and sensitivity, denying "beasts" all possibility of intelligence and emotions. Yet, as researchers and scientists make one discovery after another, they gradually prove that the border between the two worlds is not quite as impenetrable as once thought. An Inspiring Speech Facts to Turn You Veg Reality Check!